Seattle Fertility Acupuncturist offer a fertility diet that is right for you. Our programs are based on time tested East Asian medical principles and modern research. At Seattle Fertility Acupuncture we recommend that you begin preparing your body for pregnancy with acupuncture three months before conception. Your fertility is affected by your diet and lifestyle choices. Better nutrition is one of the best ways to improve your health and fertility. Confused about how to eat in a healthy way to maximize your fertility? Are you ready to make changes but unsure which foods, supplements and habits are best for you? This program is comprehensive. Phase 1 Cleanse with the Elemental Detox: A 3 week food and supplement based cleanse. Daily lifestyle recommendations and meditation reset your mind and body. It’s called Elemental because it’s basic. Change your diet and eating habits and enjoy better health. Eliminates toxins– This is especially important for those hoping to breastfeed as it has been show that toxins from the mother are released in breast milk. For best results Detox would be followed by Nourish. Each phase can be done individually. Cost is $45 for 3 week Elemental Detox or Nourish alone. Add a second 3 week program for $15. Fertile Glow Express: The baby train is leaving! This combination plan is perfect for those starting ART (assisted reproductive technology including IUI or IVF very soon.) This 2 week cleansing and nourishing diet can be done from day 1 of your menses until ovulation and combines the most effective aspects of the Elemental Detox and Nourish Plan. 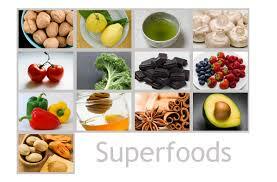 What are Superfoods and how do they impact fertility? We all know some basic advice on how to get pregnant. Don’t smoke or drink. Take a pre-natal vitamin. This is fine for someone who is young, has good ovarian reserve, and has no complicating reproductive issues. But if you are older, have been trying to conceive without success, or have health issues your body may need more. Superfoods are foods which are packed with antioxidants, and provide your body with the energy it needs to support a pregnancy. The added nutritional support normalizes hormone function to aid in conception. A key part of many acupuncture treatments is the use of Chinese herbs to correct imbalances within the body. These may be a result of a diagnosed fertility issue or a more subtle, sub-clinical imbalance. 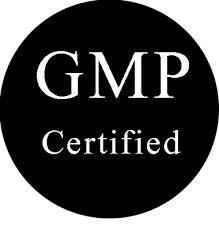 Our herbs are GMP certified and lab tested to insure that they are free of heavy metals and microbial contaminants.